Are you a domestic traveler looking for a sweet deal on airfare and free checked bags every time you fly? If you’ve answered yes to either question, it’s time to explore the Southwest Airlines® Rapid Rewards® Premier Credit Card. 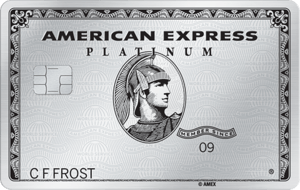 Cardholders can earn 40,000 points after you spend $1,000 on purchases in the first three months. Also, receive 6,000 points as an annual bonus after your account anniversary each year – not too shabby. 40,000 points after you spend $1,000 on purchases in the first three months. Earn 2 points/$1 spent Southwest Airlines® and participating Rapid Rewards® hotel and car rental partners. Earn 1 point/$1 spent on all other purchases. A nice 6,000-point bonus after your card member anniversary means the free bonuses don't end with the introductory offer. Since you earn double points for purchases when you book directly with Southwest or with Southwest Rapid Rewards hotel and car rental partners, you'll earn your way to A-list and companion fare status more quickly. The $99 annual fee applied on your first statement is a bummer, especially given that most travel rewards cards waive that fee during the introductory period. The most attractive incentives with the Southwest Rapid Rewards® Premier Credit Card are the ability to get to A-List and Companion Pass status faster. A-List perks include: priority boarding, standby priority and earning 25 percent more points on each flight. And if you’re a frequent flyer, you already know companion passes are the Holy Grail. Companion passes allow card holders to bring a friend or family member to fly with you for free. If your aim is Companion Pass status, use your Southwest card to book directly with Southwest (2X the points + the 25% points bonus for each flight) and book other travel plans through Southwest’s Rapid Rewards partners (Hyatt, Marriott, Choice Hotels, Avis, Hertz + more). You will earn additional bonus points for each purchase granting you A-List and Companion pass status faster. There are no seat restrictions or blackout dates for cardholders looking to redeem points. Southwest also rewards customers for loyalty — giving them 6,000 bonus points after their cardmember anniversary. Whether you’re a cardholder or not, bags fly free on Southwest and no change fees are assessed (you’ll still pay the fare difference though), which is a welcomed perk on any airline. The big drawback with the Southwest Rapid Rewards® Premier Credit Card is the $99 annual fee. The fee is applied to your first billing statement. This feature seems like an outlier for most airline credit cards, as most waive the fee during the introductory period. If you’re into luxury perks and upgrades, Southwest probably isn’t the card (or airline) for you. There is no first class or business class to reserve when you feel like resting your traveling soul. But if you’re a commuter, frequent traveler, or someone just trying to get from point A to B in an effective way, Southwest might be a partnership to consider. Southwest® offers points that you can redeem for flights, gift cards and other merchandise, whereas Delta offers miles only redeemable on its airline. Delta cardmembers only get one free checked bag on Delta® (savings up to $240 per round trip for a family of four), which is less exciting than the “bags fly free” promise of Southwest. Our take: Unless you’re a loyal Delta customer, the free bags, no change fee and the flexibility for redemption options on Southwest® are more appealing. 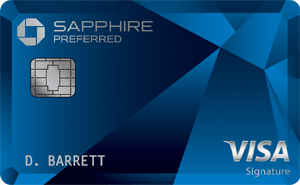 The annual fee is waived the first year with the Capital One® Venture® Rewards Credit Card, before jumping to $95. With Capital One®, you get 50,000 miles (or $500 in travel) when you spend $3,000 in the first three months, a higher-than-typical welcome offer for the card right now. Redemption options also include flights, hotels, car rentals and cruises, which gives you the same flexibility that points offer. The rewards you get with the Capital One® Venture® Rewards Credit Card can be used for any airline or hotel purchase. Capital One®’s flexibility and points structure may give it a slight edge on the Southwest card. If Southwest already has your loyalty, then this card is right for you. A large family also can benefit from the free baggage policy, which could easily total an extra $100 for a family of four on most airlines. Though Southwest may not fly out of some major airports — including JFK and Miami International — most domestic travelers will be happy with the airline’s flight options and their ability to redeem points for a variety of purchases.